When Bill Short designed the San Francisco Pelican in the 1970s, he made it 12′ long; later he stretched it to 17′ long, and called that version the Great Pelican. Brooke Elgie of Tenakee Springs, Alaska, extended Short's design still farther, to 19′6″, what he calls the Great Alaskan Pelican. Bill Short’s version had a centerboard, Elgie’s model, FRED, has twin keels so he can sit easily on his own bottom, and to facilitate launching from a beach. 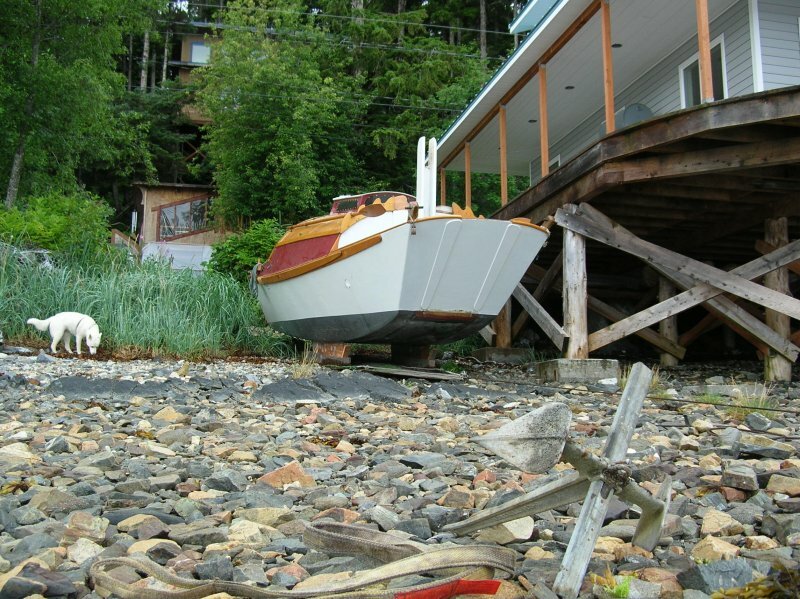 Tenakee Springs, Alaska, has no roads, so its 102 residents can “reach the outside” only by their own boats, a floatplane, or the ferry that runs twice a week. Brooke constructed the hull and raised deck from 3/8″ MDO plywood, which he glassed and sanded while it was flat. FRED’s bottom is well protected from the many rocks in the Tenakee Inlet with three layers of the same MDO, covered with two layers of 6-oz fiberglass cloth. 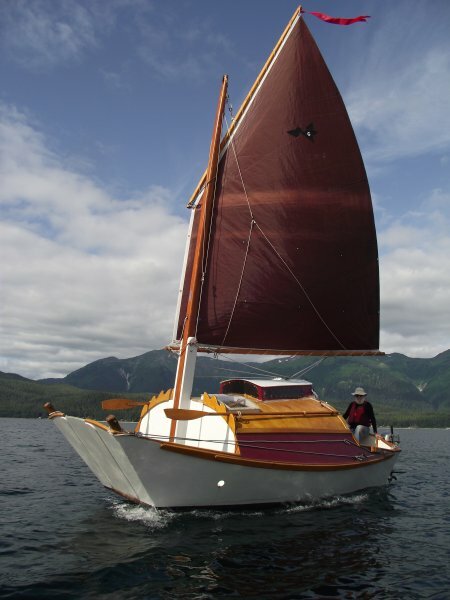 He built the transom and bulkheads from 3/4″ MDO, and the house roof from 3 layers of 3/16″ birch doorskin. The mast has tabernacle that can be raised and lowered by one person. 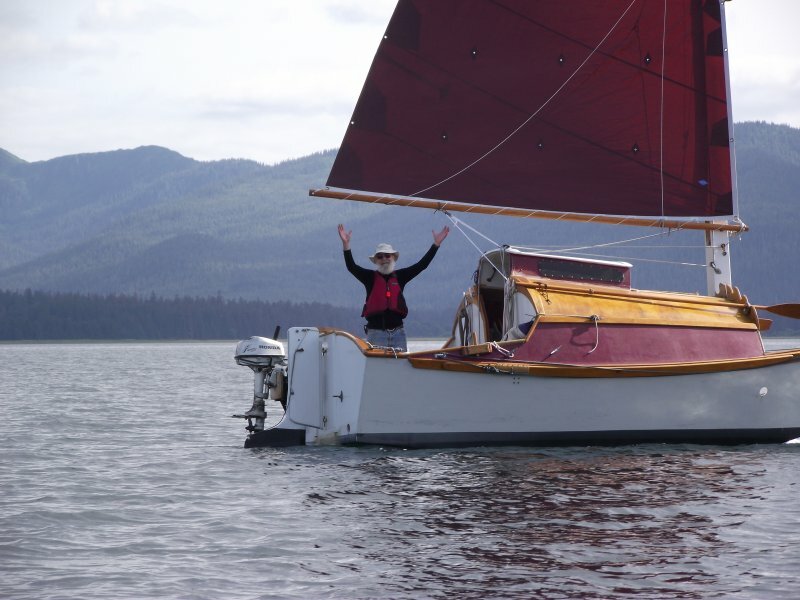 At 76 years old, Brooke writes that he's no longer nimble enough to manage the foredeck, so he has made it so he can lower the mast and do any anchoring tasks from closer to amidships. 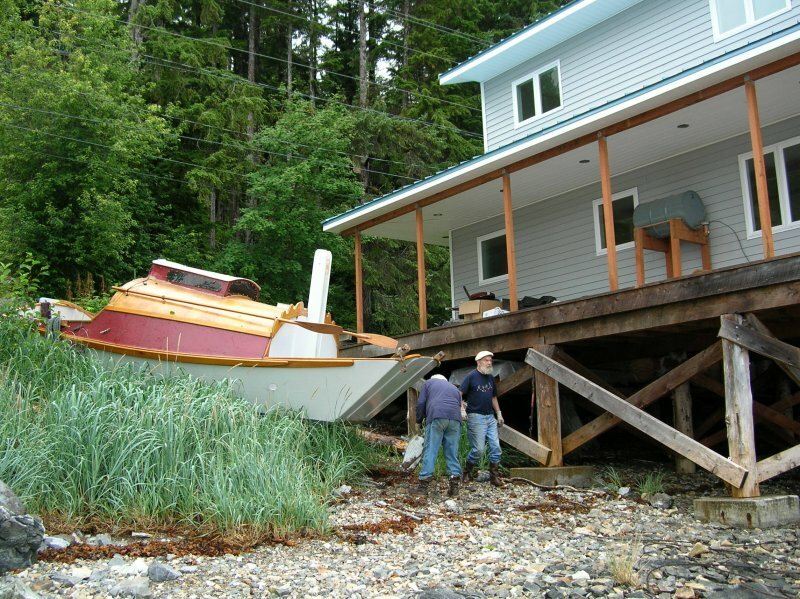 FRED has a 5-hp Honda outboard and a pair of 12′ oars for alternative proplusion when the wind dies. The cabin has a galley counter, one bunk, and a big desk. Brooke uses a motorcycle battery and a solar panel to run his laptop. He plans to put FRED to use as a floating writer’s cabin, so the laptop and desk are important components. 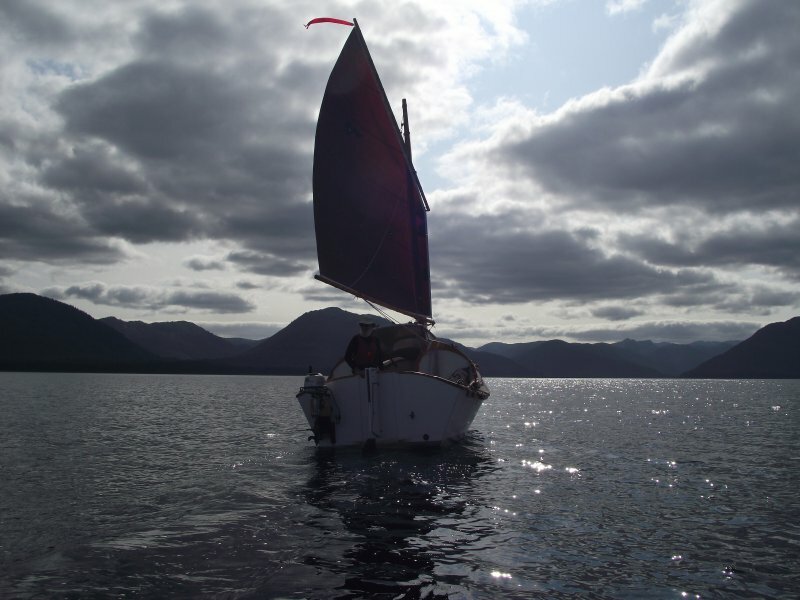 Brooke first launched FRED in the summer of 2010, but he found the boat to be much too tender, and considered a bonfire as a reasonable solution. But then Brooke decided to cut FRED right down the middle and widen him by 2 feet. Surprisingly this worked, and Brooke reports that FRED sails well, and points to weather good enough for him. FRED is named after Brooke’s father.